When keeping fit is the priority, you need swimwear designed for your needs. 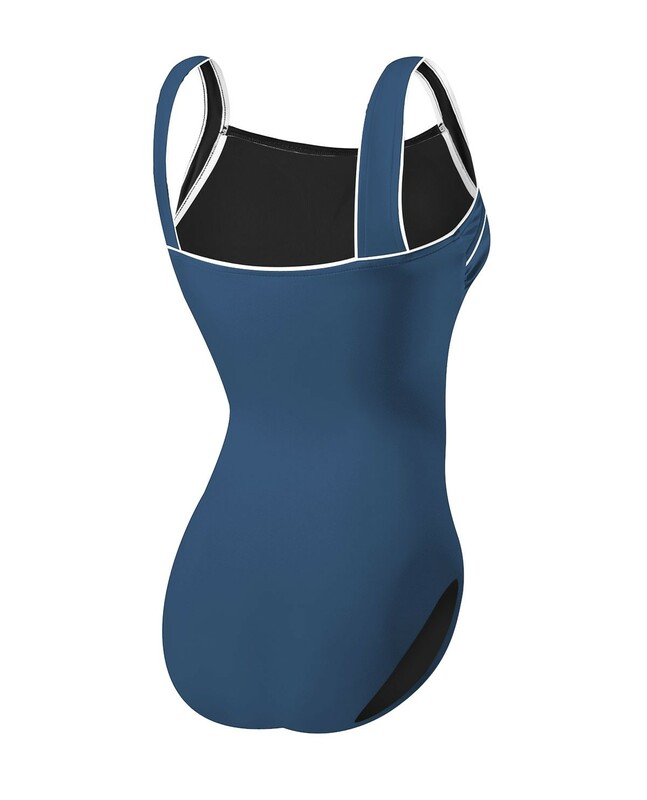 The Women's Solid Square Neck Controlfit Swimsuit, an ideal combination of flattering coverage and durability, will help you to more comfortably enjoy every aquatic experience. 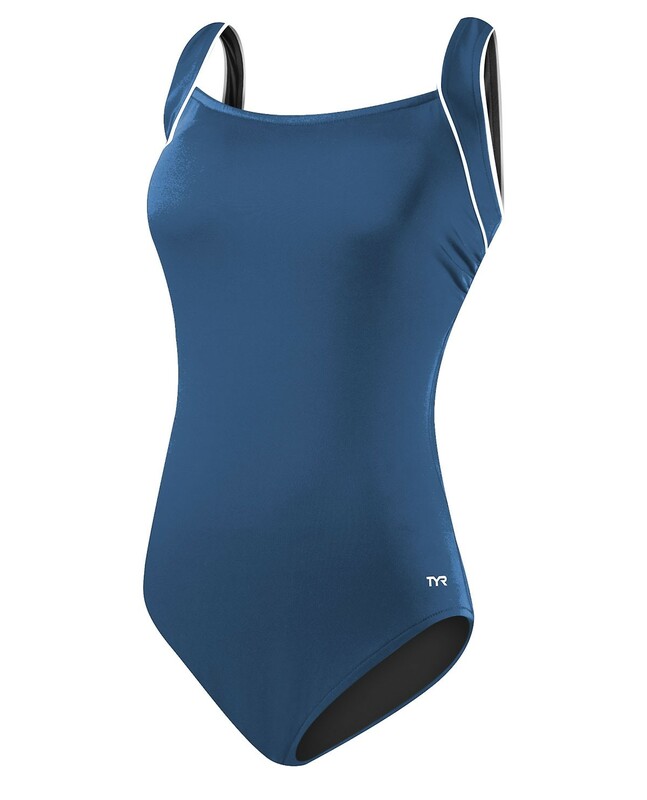 In addition to featuring UPF 50+ technology for superior sun protection, this fully lined swimsuit includes a classic cut leg, high, square neckline, thick/supportive straps and modest coverage front and back. The TSQR7A is also offered in TYR Pink in support of breast cancer awareness. i have ordered this suit several times over the past 7+ years...i love it! Have one in black, just bought the navy. Have been wearing it for aqua fit class at my gym pool. Love the comfortable fit and how it holds my tummy in. The suit I purchased fits like a glove and the material is sturdy. I wash mine out with cold water. I've gotten a lot of compliments on it. One person said, "Did you lose weight"? I'll buy another when this one wears out! Womenâ€™s solid square neck controlfit swimsuit. Womens solid square neck controlfit swimsuit. Q: All my measurements point to 16, except I am very short waisted and torso measures at a 12. Should I split the difference and go with a 14 or stick with the 16? A: Because the Durafast Elite fabrics that we use have such great stretch and recovery properties, a size 16 should work fine. Q: WOULD TYR ever consider making this suit in red green, or aqua. I look much better in those colors. Love the suit but the colors do not flatter my hair ,eyes and skin tone..
A: Thank you for contacting TYR Sport! We are always eager to answer any questions you have about our products. I will pass this along to our design team. Q: can the suit be returned? unworn of course, just tried on? Q: Would you ever consider making this suit in more colors .? None of the available colors flatter me. Aqua flatters everyone . Would love red or green. A: Thank you for contacting TYR Sport! We are always eager to answer any questions you have about our products. We have many prints in our Controlfit swimsuit. A: Thank you for contacting TYR Sport! We are always eager to answer any questions you have about our company. In our Women’s Solid Square Neck Controlfit Swimsuit the smallest size available is a 6. Sorry for the inconvenience.